Ellusive 2-Cup Stovetop Espresso Makers – I Found Them! 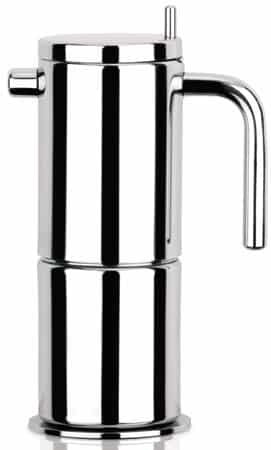 If you find single cup moka pots to be a bit too small for your liking but you still want a really small stovetop espresso maker then a 2-cup espresso maker is right up your alley. Personally I am quite fond of the three cup moka pots, it’s what I use in the home more than all the others but to each his own. 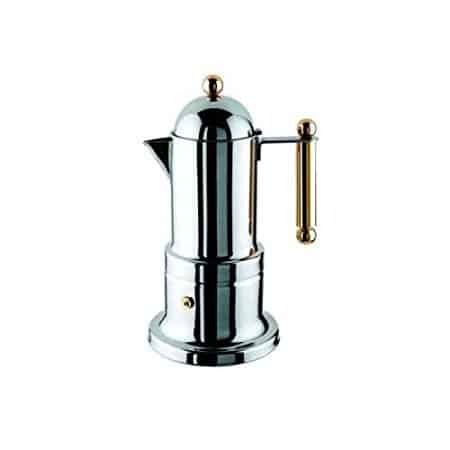 Below I’ve listed some of the most popular two cup espresso pots on the market today. You’ll notice that there’s only a couple of main brands in this space. Remember That 2-Cup Moka Pots Brew Roughly 3-5 ounces of moka at a time. These “cups” are not the same size as a cup of coffee (6-8 oz) or even a shot of espresso (1-1.5 oz). In the coffee world a “cup” typically refers to a serving size. 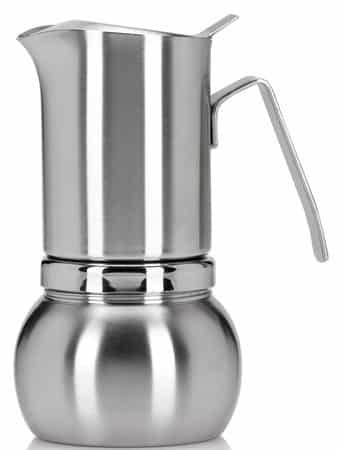 If you are expecting to fill a 16 oz travel mug with a 2-cup stovetop moka pot then you are mistaken. 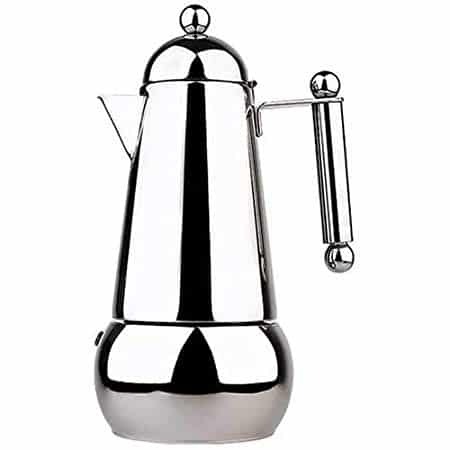 These pots will however give you plenty of stovetop moka to make a great Americano – 4oz of espresso to 4oz of hot water is a real nice strong cup that will remind you of strong coffee. You’ll also find that 2-cup pots are a lot harder to find than the more common single cup pots and three-cup pots. Of the five options I’ve singled out above you’ll notice that they are all stainless steel models that are all styled a bit differently. None are made from traditional aluminum construction so although they will be a bit more durable they will also be a bit more expensive and heavier than the Moka Express for instance. What Do You Use a Two Cup Moka Pot For? Lots of people who make moka make only a small amount to mix in with a bit of milk or to add to a special coffee drink at home. They make it easy to make a single shot of “espresso” to dishes that are prepared in the kitchen too, recipes that include a touch of coffee. Stovetop espresso is like the shots of regular espresso added to your cafe drinks like lattes and mochas. You start with a few ounces of water and force it through loosely packed coffee ground with the pressure of steam. In a way it is kind of how steam pump espresso makers work the difference is the amount of pressure generated is far less and the brew time is a bit longer. When comparing a stovetop espresso maker vs a machine you’ll probably like the quickness of making espresso from a machine but the simplicity of moka is awesome. It will also taste more like really strong coffee compared to true espresso which is why it’s serving size is slightly larger. 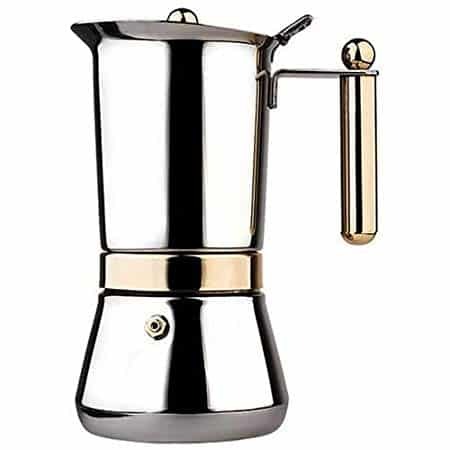 If you are in the market for a small moka pot then I would also like to invite you to take a look at our collection of insulated espresso cups. Most of them are the perfect size to drink stovetop espresso out of. Are There Different Sizes to Choose From? There aren’t nearly as many options to choose from in the 2-cup size. For more variety I recommend checking out the 1-cup pots as well as the popular 3-cup size. Take a look at our store for more coffee related accessories.